I love the neon and metallic details in this outfit! Vampires always seem to be hot creatures & you are no exception…looking HOT as usual bb!! 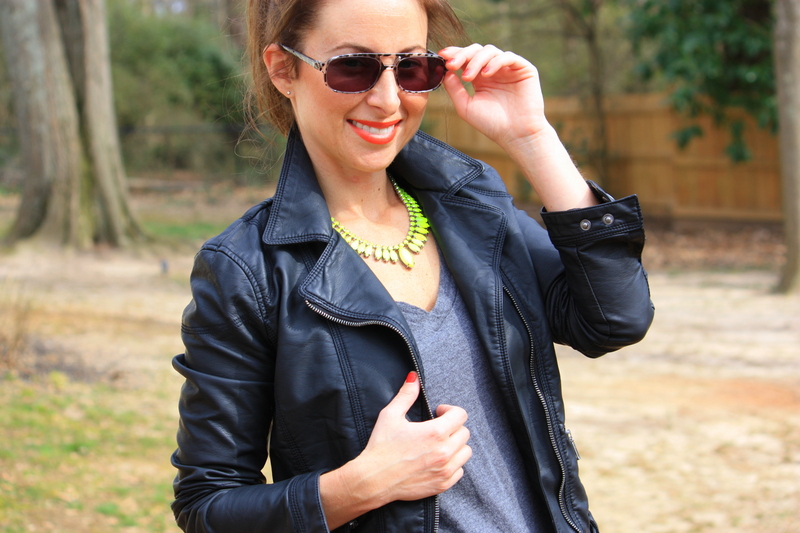 I love the touch of metallic and your neon necklace! Love the silver heels! Louboutin has some gorgeous silver ones too, but way too expensive!! 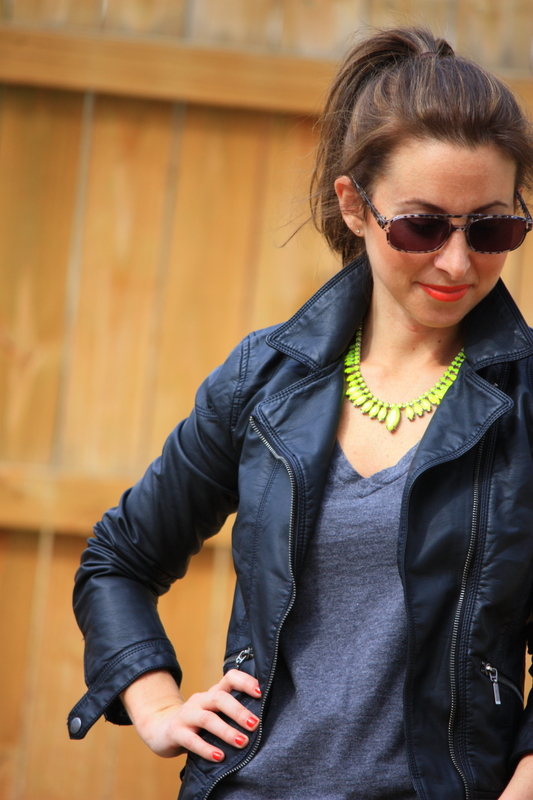 Love the pop of color with that necklace! I’ve been utilizing the self tanner recently to get some color so I don’t look so ridic when everyone starts bearing limbs – so far I’ve just managed to get the tops of my feet orange! So super cute! I love this outfit!